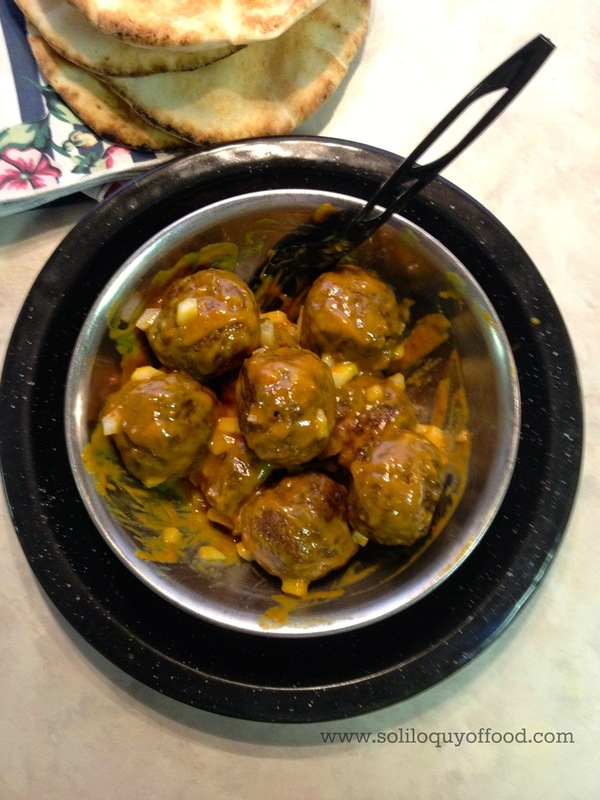 NY System Hot Wieners were the inspiration behind these meatballs! They are seasoned with Olneyville spices. There are dried onion flakes flecked throughout the meat. 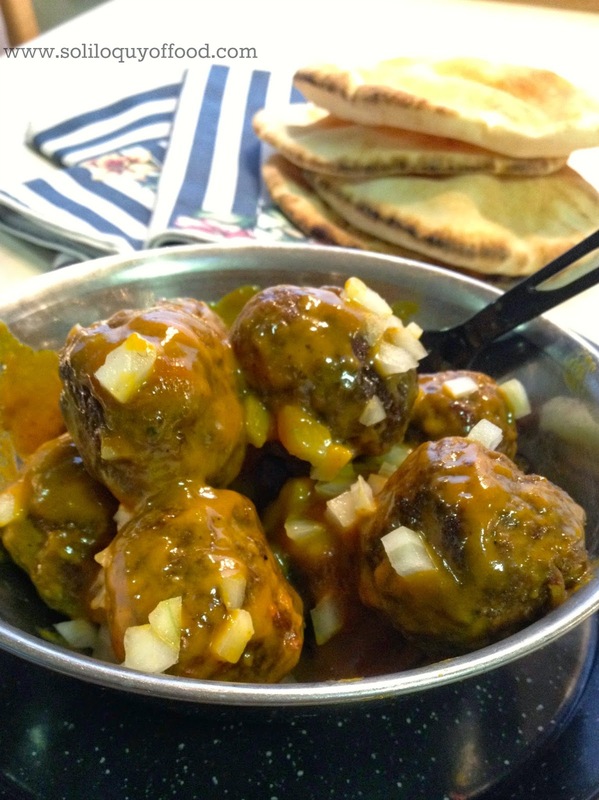 The meatballs are glazed in a yellow mustard sauce, sprinkled with just a hint of celery salt, and garnished with chopped sweet onions. A New York System wiener is something that you must try if you are in Rhode Island. Even Alton Brown tweeted he was having one, with a glass of coffee milk (official beverage of the state of RI), as he was passing through town. Basically it's a wiener...tucked into a steamed bun...and topped with NY Systems spiced ground beef, yellow mustard, finely chopped onions, and a sprinkle of celery salt. So WHY are they called "NY" system wieners if they are infamous in RI? As recently mentioned, Rhode Islanders have their own way of doing things. According to Johnson & Whales University, back in the early 1900's hot dogs were becoming more popular and they were associated with Coney Island (NY). Over time, the great people of RI transformed these "NY" hot dogs into to this culinary delight! In fact, Olneyville N.Y. Systems was awarded a James Beard Foundation America’s Classics Award for 2014. Seeing I had the spice mix, I decided to jazz up some meatballs. So if you don't eat hot dogs (yes, some folk don't) here is a way to experience what all the hullabaloo is bout. Yes. Hullabaloo. If you want to try and make your own spice mix, you can use >>>This<<<as a reference. Heat a the olive oil in large skillet over medium/low heat - have it ready so as you roll the meatballs they can go right into a hot pan. Combine the ground beef, spice mix, onion flakes, egg, breadcrumbs, seasoned salt & pepper - using your hands mix it all until just combined - do not overwork the meat. Roll into 12 meatballs. Cook 4-5 minutes on each side (top and bottom) until browned and caramelized, reduce heat to low and cook another 5-7 minutes until no pink is no longer remaining in the middle - stirring frequently to ensure even cooking. Wipe out any standing grease in the pan, optional - but recommended. In a small bowl whisk the sauce together. 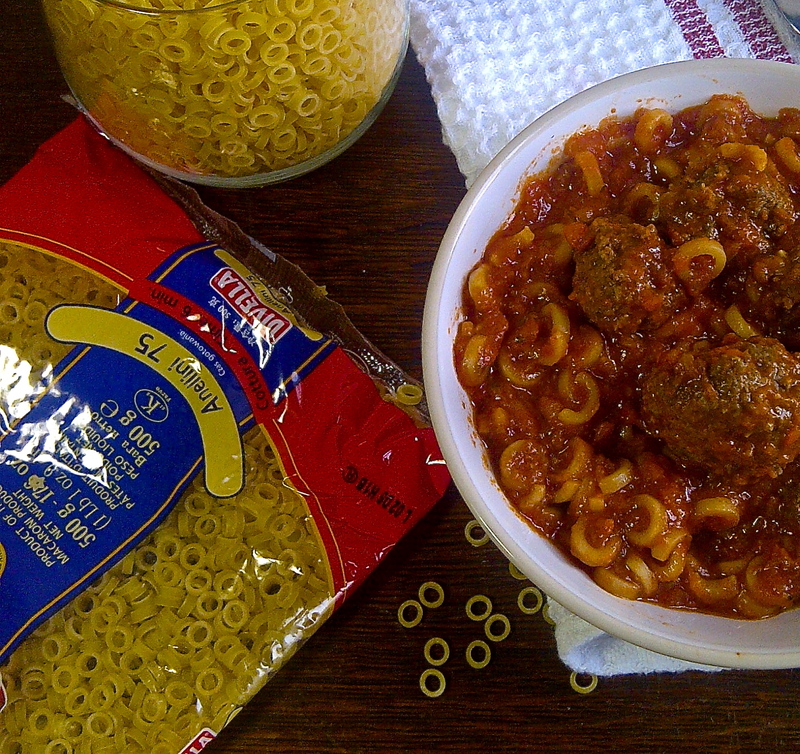 Pour over meatballs, toss to coat. Keep over low heat for a few minutes to warm the sauce. Remove from heat, sprinkle in chopped onion, toss to combine. Serve with celery salt. Those sound pretty good. My husband is obsessed with steam buns, so I may need to find an original recipe for the NY system wieners as well. Thanks for sharing on Foodie Friday Kim! Looks great! Thanks for linking up to Sweet and Savoury Sunday, stop by and link up again. Happy Easter, have a great weekend! Meatballs are one of my favorite foods. I love how there are so many variations. Yours look amazing! Thanks so much for linking up to “The Yuck Stops Here” party. I Hope to see you at this weeks party. We are up and running at 6 pm EST on Monday. Can’t wait to see what you share! You had me going for a while... 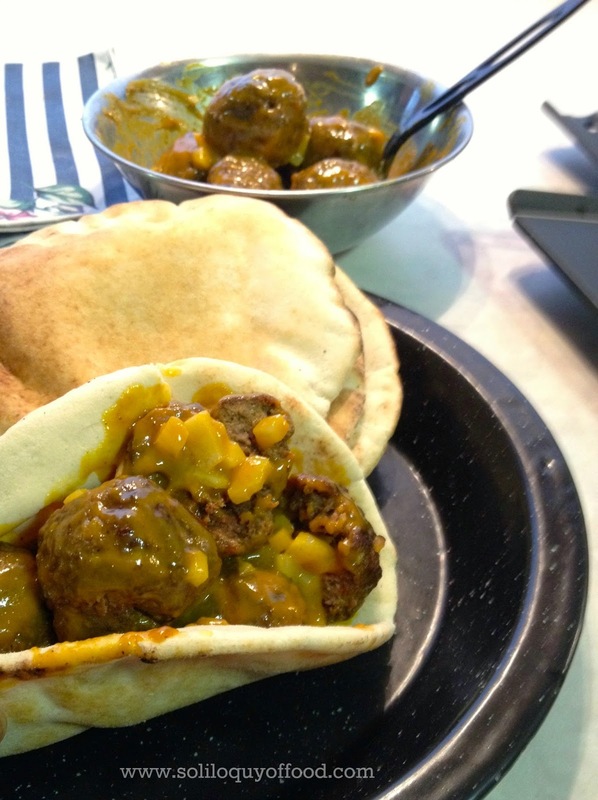 I lived in NYC for years and I never heard of these meatball... Rhode Island eat your heart out. Mouth-watering! 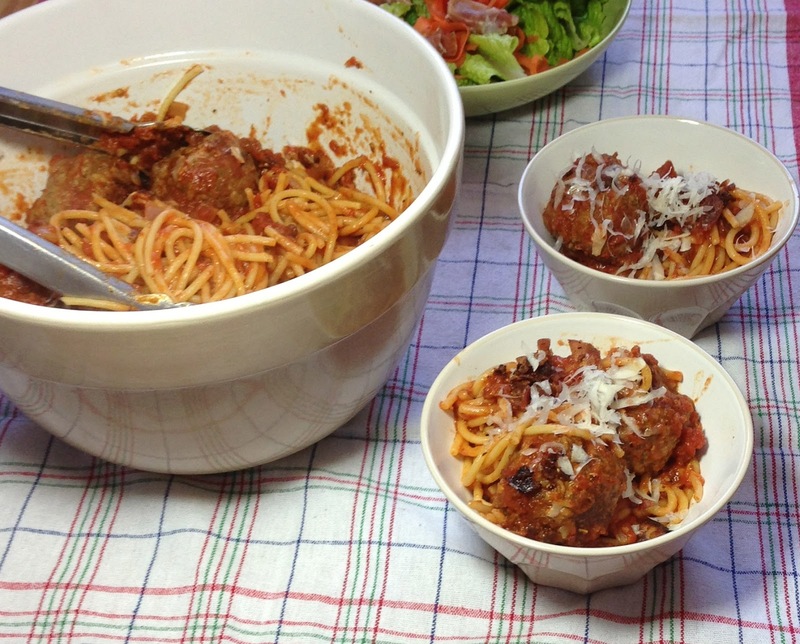 I love to try your simple yet delicious meatball recipe! Kim, these sound so delicious! Thank you so much for sharing your great recipe at Best of the Weekend - pinned! Hope you had a great week and have a happy Friday! Miss Kim! 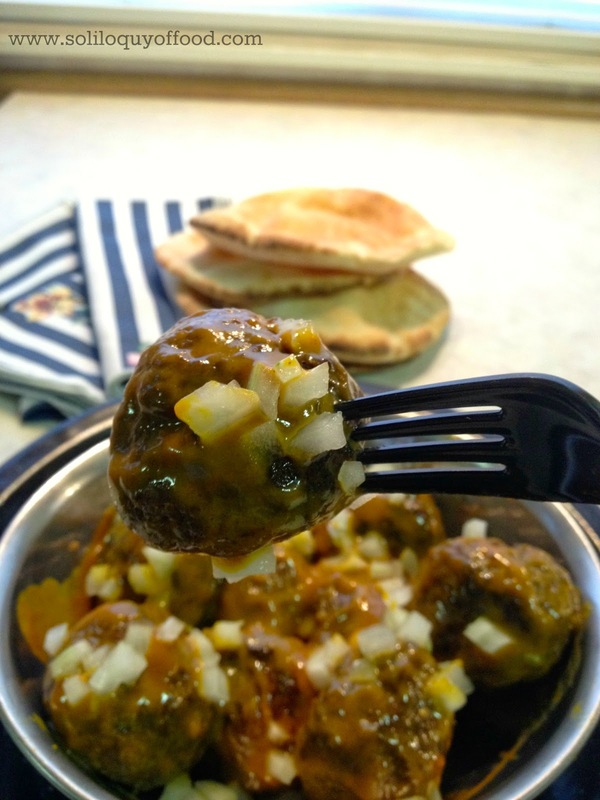 So good to see you darlin' :) What a fun spin on meatballs. I love the idea of using a mustard glaze. My hubby would be all over these.